When you install a pool, you are making a long-term investment that increases property value and provides countless hours of recreation. Like any investment, you should do everything in your power to keep a pool in working order and prolong its lifespan. Properly maintaining a pool not only extends its longevity, but it ensures a safer swimming environment. Get the most out of your investment by following these important tenets of pool maintenance. The first step in properly maintaining a pool is keeping it clean. First, a pool’s cleaning schedule depends on how often you use it. Those who own their own pools should clean them once a week while commercial pools should schedule cleanings more often. Additionally, weather and environmental factors come into play. The more stuff that falls in the pool, the more often it needs to be vacuumed, skimmed, and brushed. You want to remove debris from your pool as soon as possible, as leaving it in the pool can cause surface staining, affect water chemistry, and contribute to algae growth. 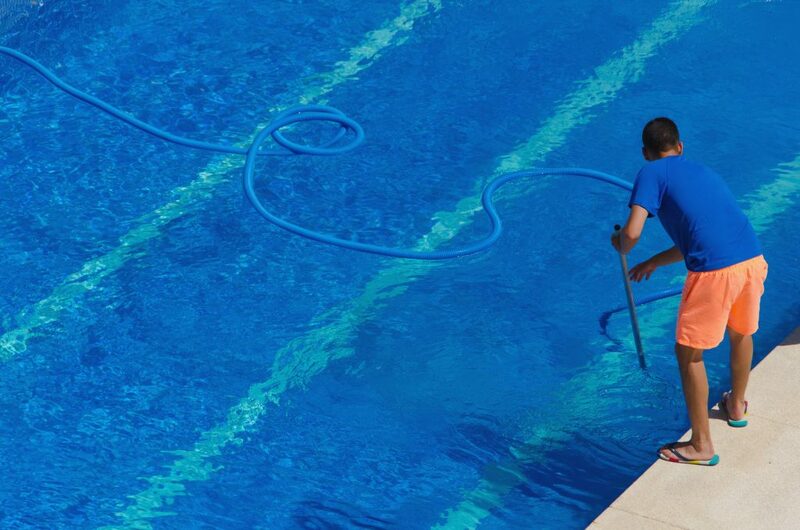 Physically cleaning a pool involves using skimmer nets, brushes, and vacuums. You can vacuum a pool with a handheld vacuum head and pole that is connected through a skimmer and/or use a robotic or automatic vacuum. Robotic or automatic vacuums scour the walls and floor of the pool picking up debris from the pool surface. 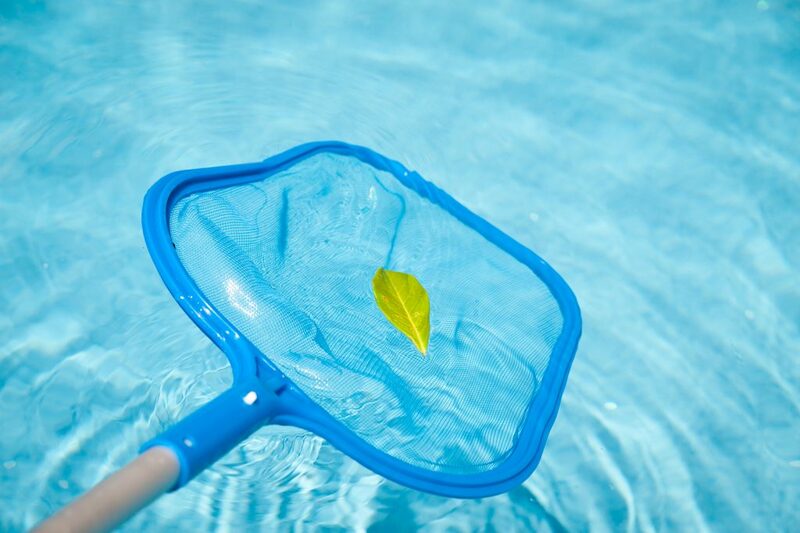 Skimmer nets are used to remove leaves, bugs, debris, and smaller particles floating on the surface. Deck vacuums are portable “filtration systems” that have their own pump and filter that are used to vacuum the pool. These are typically cartridge filters that have cartridges that must be maintained, cleaned, and replaced according to the manufacturer’s recommendations. A swimming pool maintenance company can easily handle any of these takes, as well as provide a more thorough cleaning. Upholding the correct balance of pool chemicals is another essential part of maintaining a pool. There need to be specific chemical parameters in your pool to prevent algae and bacteria from building up in the water, maintaining pool surfaces and equipment, and allowing for bather’s enjoyment. A pool’s chlorine, alkalinity, pH, and calcium levels must remain within the ideal ranges to ensure balanced water. One should also be cognizant of iron and copper levels, phosphate levels, TDS levels and cyanuric acid levels (if applicable). Maintaining the proper sanitizer level may also require periodic “shock” treatments. When you “shock” a pool, you add sanitizer to the pool at a level of 10 ppm. 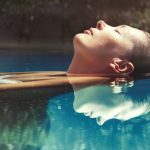 By shocking the pool, this will help oxidize bather waste, kill off any bacteria or algae that may start to be growing, and help with water clarity. Preventative shocking once a week for pools and daily for spas is something that can help stave off problems. When it comes to swimming pool repairs, the sooner you address the damage the less chance you have of developing worse or additional problems. For instance, a small tear in pool liner above the waterline of the pool can quickly evolve into a large one requiring a major fix or replacement. With pools, you are combining water, electricity, and chemicals along with mechanical pool equipment in an outdoor environment. These variables cause pool repairs to become more frequent than not. Because repairs are so important to maintaining a pool, it is vital to scan your pool and visually assess it on a regular basis. A pool maintenance specialist can quickly spot pool damage and do repairs in the most effective manner. Properly maintaining a pool also includes maintaining pool equipment. The pumps, filters, heaters, and chemical feeders all need to last as long as the pool itself. If you improperly close down or winterize the pool, the pool equipment, pool liners, pool surfaces, tiles, coping, and decking can be damaged and create future expenses. Also, improperly stored pool chemicals can become contaminated or ineffective, and also present a safety hazard. When you close up a pool for the season, you need to thoroughly inspect all aspects of the pool and equipment. 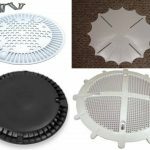 You must also make sure that the winter cover is properly and securely installed to prevent debris from entering the pool and contributing to algae growth during the off-season. Taking care of your pool equipment and closing up correctly can greatly increase the lifespan of your pool. Maintaining a pool is a complicated process that is best left up to the professionals. Pool Operation Management offers the very best in pool maintenance. If you want to maintain a pool yourself, we offer comprehensive training and certification classes. Whether the job is commercial or residential, we have you covered. To start maintaining your pool the right way, contact us today.